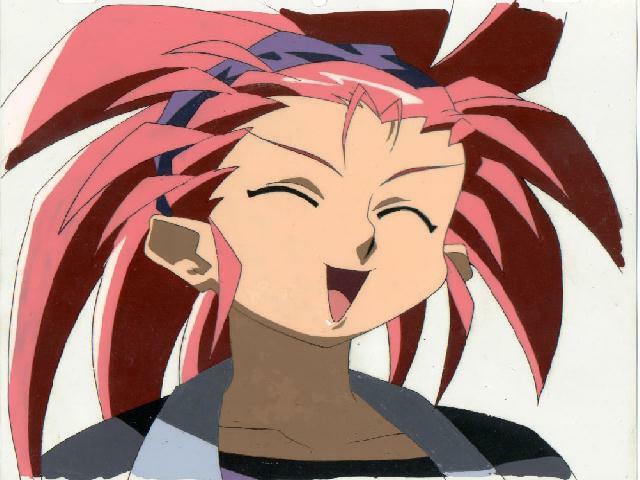 SASAMI (Pretty Sammy)- This was my first Tenchi cel! RYO OHKI- "Pick me up". Isn't she precious?!?! 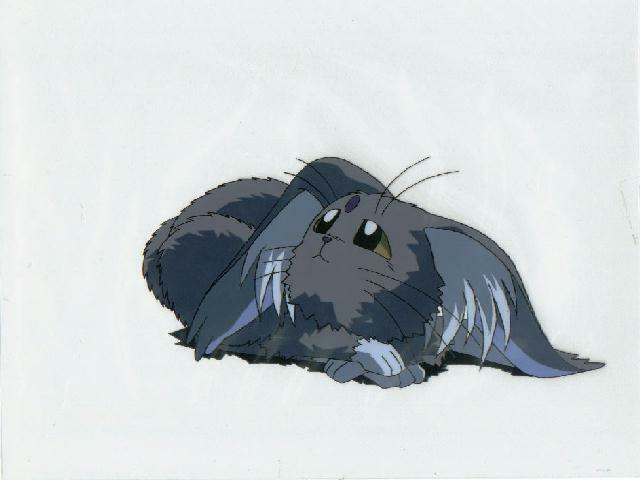 ^_^ From Tenchi in Tokyo, Ep 13. 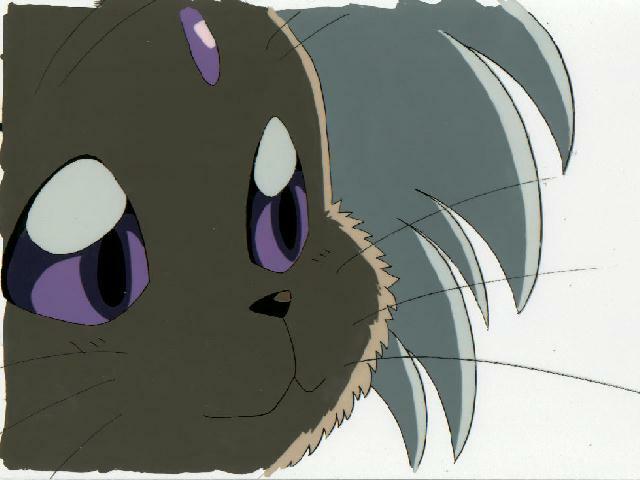 TENCHI - I love the way Tenchi is blushing in this cel! I think the girl is one of Sakuya's friends...but I'm not sure. HOTSUMA - VERY nice Close up of Hotsuma! It fills up the entire cel! 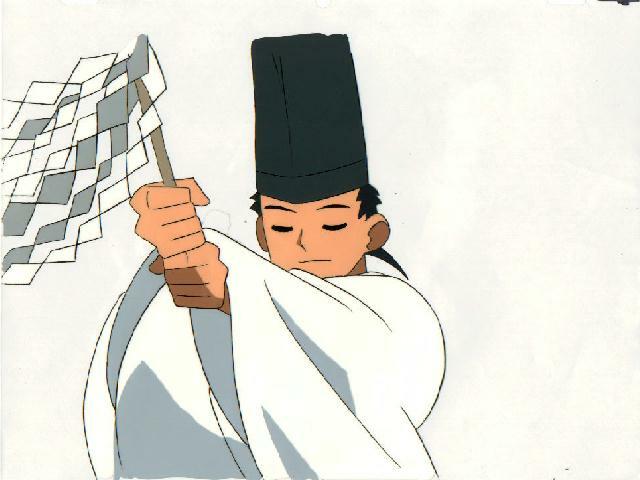 TENCHI - Tenchi in his RARE Priest outfit! It's very sharp! It's stuck to an unmatching sketch of the king of Jurai! 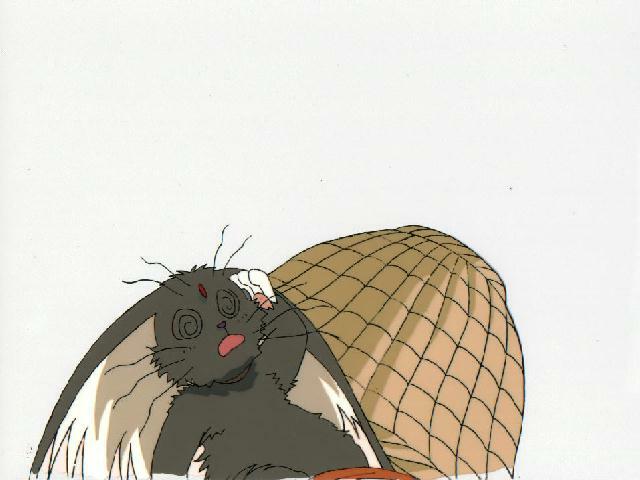 RYO-OHKI -"Ouch!" 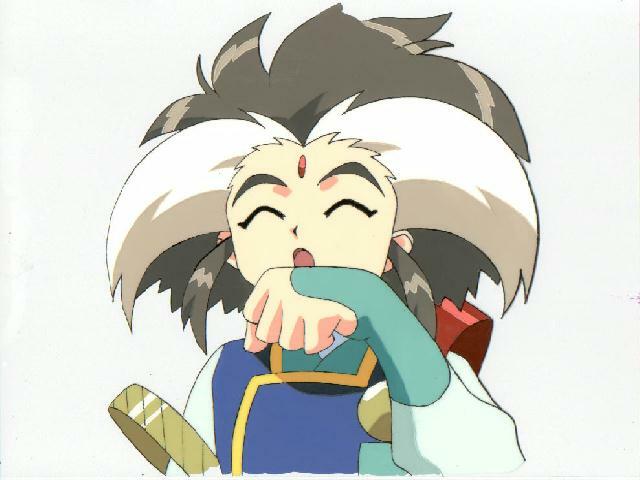 A VERY Funny & Cute Ryo-Ohki from the Tenchi Muyo OAV series!!! 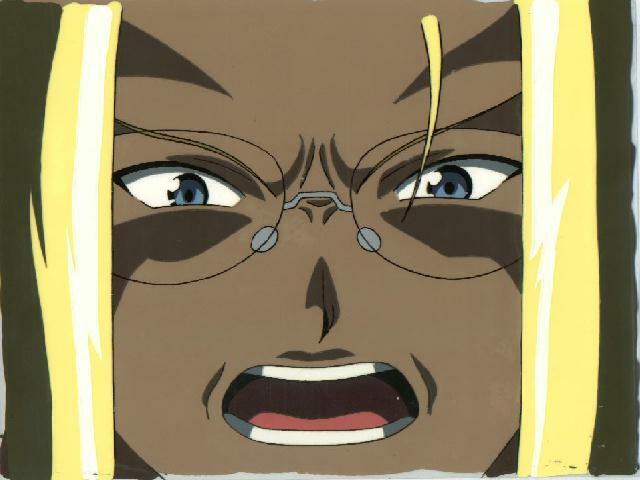 NOBOYUKI - Nice little cel of Tenchi's Father! 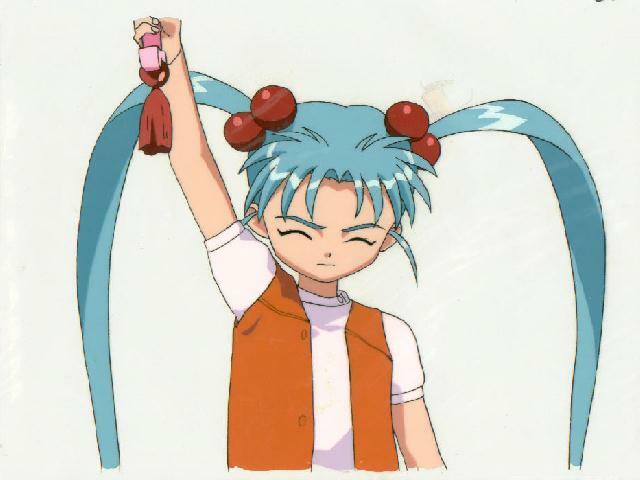 From Tenchi OVA! 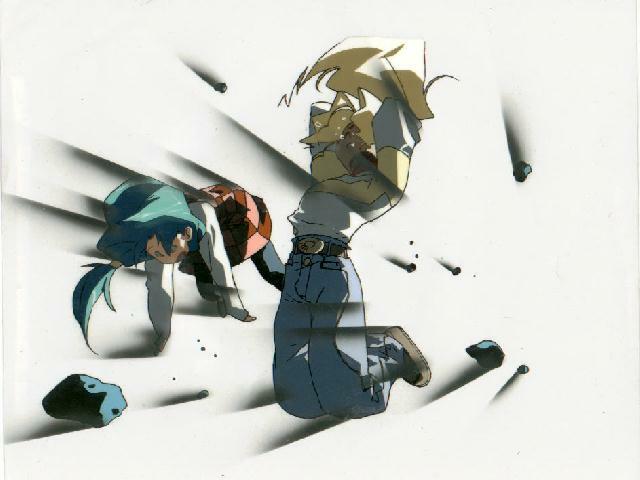 MIHOSHI & KIYONE - This cel is a Key End Cel. RYO OHKI - Ryo Ohki in human form. 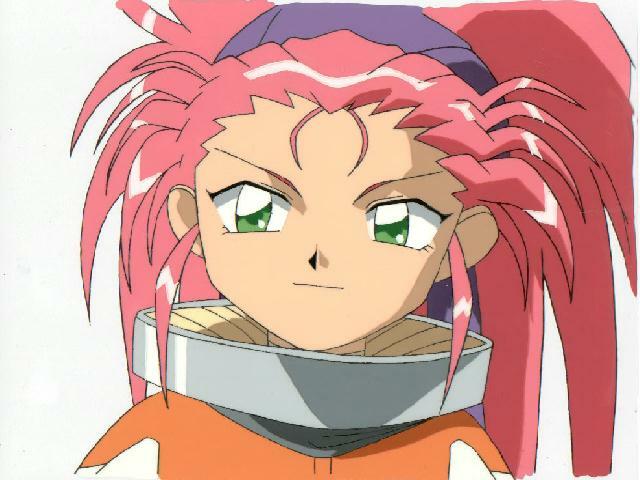 Why is Ryo Ohki a She in Tenchi...and a HE in the Pretty Sammy series!?! Anyhow, this is the HE!! 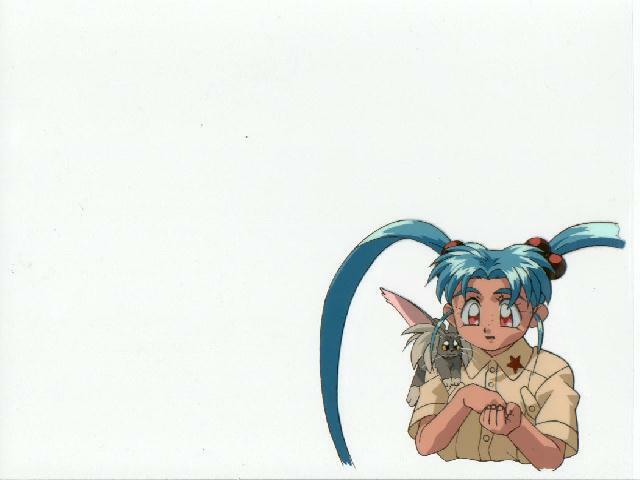 RYOKO & AYEKA - From Tenchi in Tokyo. 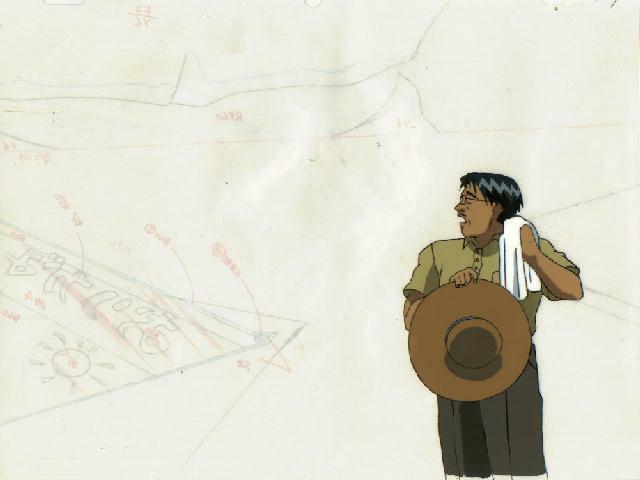 Two cels from the Same Episode...so cool! 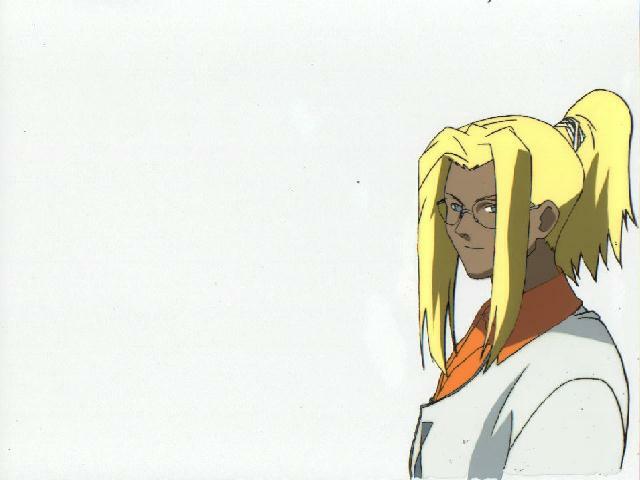 ^_^ The ugly mess at the top of the cel is tape...this is a 2 layered cel! HOTSUMA - A nice upper body shot. Not sure which epsiode this is from! NOW FOR SALE! CLICK PICTURE FOR DETAILS! 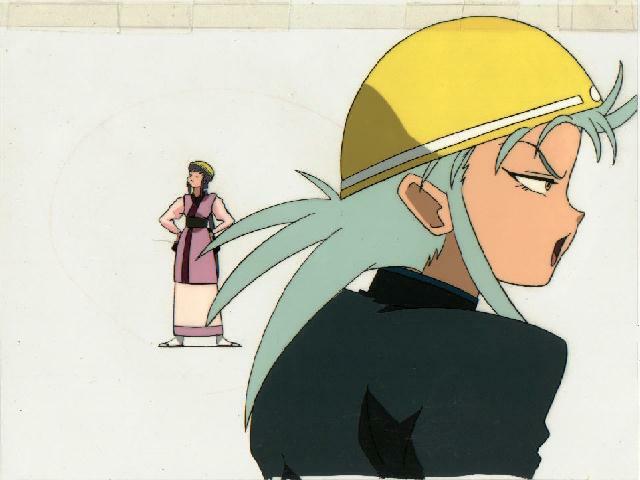 MAYUKA & TENCHI - "Hmm..Needs more salt" This is from 'Tenchi in Love 2: The Daughter of Darkness', one of my favorties! 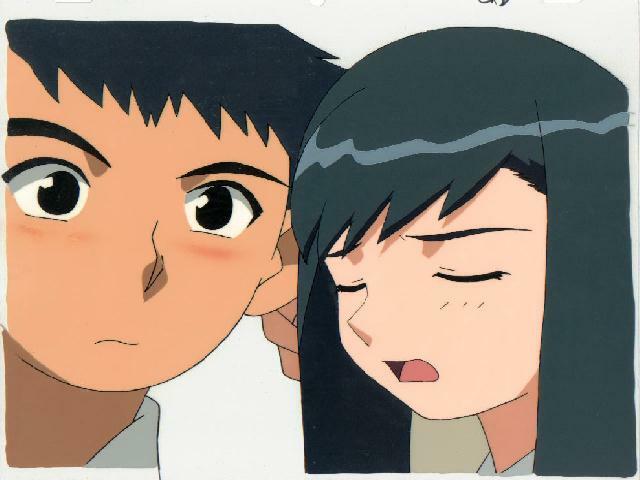 Here Mayuka is about to kiss Tenchi, to send him to another dimension. 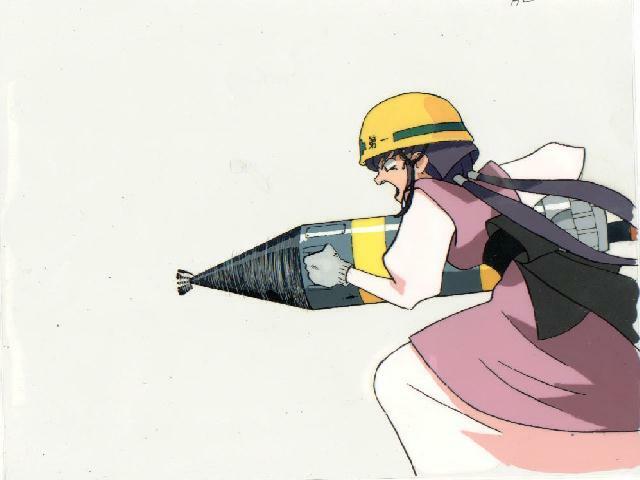 The colors are very sharp, it's a beautiful cel! Fly with RYO-OHKI to the DRAGONBALL page!